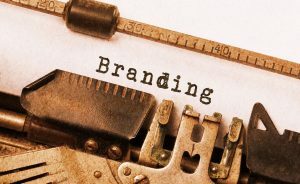 Many people frequently misuse the term “brand” by interchanging it with advertising, marketing, naming or design. These improper applications have caused much confusion as to what branding is and how it works. Business consultancies, marketing companies, advertising agencies, public relations firms and graphic/web design studios each define brand within their own frame of reference and expertise. As such, “branding” has become a bit of a buzz word. But, what does it really mean and how does it work? Where did all start and how can it create value? To benefit from the effects of branding, a common understanding of “brand” must first be established. According to the Morris Dictionary of Word and Phrase Origins: brands/trademarks. Academics and marketers unanimously agree that the origin and evolution of branding moved from a commodity-driven model to a value-driven model. Rice, sugar, cotton and steel were all strictly commodities at one point. Consumers used the identification system, designed to show ownership, as a tool to navigate their way through vast offerings of these common goods. This allowed them not only to identify the best products available in their market, but empowered them to repeat a favourable purchase. Through an internal memorandum, he proposed a new business strategy called “brand management” and the age of product and brand differentiation was born. Brand management focused attention on product specialization and differentiation instead of business function. By distinguishing the qualities of each brand from all other P&G brands, each would avoid competition with one another by targeting different consumer markets with a different set of benefits. McElroy’s concept championed by P&G President/CEO, Richard R. Deupree became the foundation of the company’s business strategy. The proposition itself must be unique. It must express a specific benefit that competitors do not, will not, or cannot offer. The proposition must be strong enough to pull new customers to the product. In the late 60’s and early 70’s, the concept of “brand” began to take on new meaning, including the larger concept of image and values. Al Ries and Jack Trout captured this evolution in their Harvard Business Review article and later authored a book by the same title: POSITIONING: The battle for your mind. Their concept stated that it was not product superiority that mattered, but rather consumers’ perception of a given brand that paved the road to success. This concept was dubbed “brand positioning” and to this day it remains the standard for developing successful brands. Legal perspective: A brand is a trademark. It can be defined as a name, sign, symbol, device, or a combination thereof, intended to identify and differentiate the goods and services of one seller from those of other sellers, or group of sellers, within the same category. 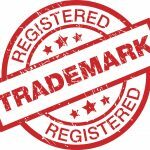 The owner or licensee of a trademark (brand) has the right to exclude others from using that trademark by being the first to use it within the marketplace and registering that trademark with the relevant patent and trademark office. Business perspective: A brand is a tool by which the company promotes goods and services to secure future earnings. As viewed by consumers a brand is the promise and delivery of an experience throughout every point of contact. When managed properly brands create sustainable long-term value for the organization. In practice: A brand is an experience living at the intersection of promise and expectation. Here’s how it works. A company expresses its brand as a promise, both overt and implied. That promise lives in consumers’ hearts and minds as an expectation. When brand promise and consumers’ expectations reflect one another, the brand holds tremendous value for both parties. It is through this co-creation (consumer and brand) that true brand value is created. Yet, business and consumer each see their brand from their own point-of-view. Effective businesses view their brands as tools that allow their messaging to cut through the noise of an overcrowded marketplace. The parent company or organization expresses its brand’s position through carefully crafted Brand Signals that convey meaning that differentiates their brand. These signals underscore the position that the brand has taken, persuading consumers to consider, prefer, and ultimately buy their offering – businesses use brand as a differentiation tool. Conversely, consumers factor brands into just about every purchase they make. Consumers use brands as a method for navigating their way through the marketplace. Each brand distinguishes itself, allowing consumers to identify their preferred products and services from those they see as being less desirable. When brand meaning and relevance are clear, the brand will hold a stronger position in consumer’s minds and the more likely they are to choose it. Consumers use brand as an identification tool. Without brands, the marketplace would be overwhelming. Imagine a world without brands: You’re out of ketchup. You run to your local store where you are met by a wall of red bottles with simply the word “ketchup.” Without brands there would be no signals to illustrate the differences between the vast array of choices other than size and price. No name, no unique package, nothing! So which one do you choose, why and how? You can quickly see how making a purchase becomes an ordeal and making a repurchase would be next to impossible. However, we live in a world where consumers have a system for differentiating products and services as well as tracking their experiences. Brands provide a method of classification, differentiation and identification which allow you, as the consumer, to simplify your ketchup buying decisions. As you scan the many shelves of ketchup bottles, your brain subconsciously translates each brand signal: bottle shape, label, name, logo, color scheme and graphics. You recognize your preferred brand and wham, Heinz. You’re on your way! It is important to note that “Value” is defined differently by different parties. 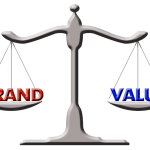 Businesses measure brand value in terms of margin, market share and goodwill. Yet, each brand owner will asses these based on individual objectives. For example, a politician may measure brand value in terms of votes, a company in terms of profits and a non profit as contributions. Consumers place value on many factors ranging from emotional to rational, from exclusivity and rarity to the safety of commonality. No matter how value is measured, if your brand does not deliver its value, it is merely an empty promise. Without a trusting customer base, a brand is nothing more than a legally – protectable name, sign, symbol or device. Branding is not about getting people to choose your offering over the competition’s. It is the act managing consumers’ expectations so as to condition your target audience to see your offering as the only answer to a specific need. By defining a realistic and manageable promise of what the brand owner will deliver and what consumers can expect of the brand, branding has become the backbone of modern business strategy. “Brand” drives consumer purchase decisions and affects nearly every functional area of a business. With product offerings converging into sameness, companies are viewing “brand” as the only avenue of differentiation. Branding defines market position (brand strategy) and, through a series of signals, articulates that position as promise (brand identity). When strategy and identity work as one, brands obtain sustainable and favourable market positions. This has shifted the task of brand building and management from a marketing tactic to the primary business strategy. While the concept of brand is ever-evolving, its primary purpose is to balance the objectives of an organization with people’s needs and expectations. It does this by building a trustworthy relationship with consumers. In other words, what is promised by the brand owner and what is expected by the brand’s audience become one and the same.